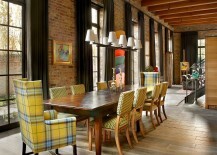 They say that fashion goes in circles and so does interior design. 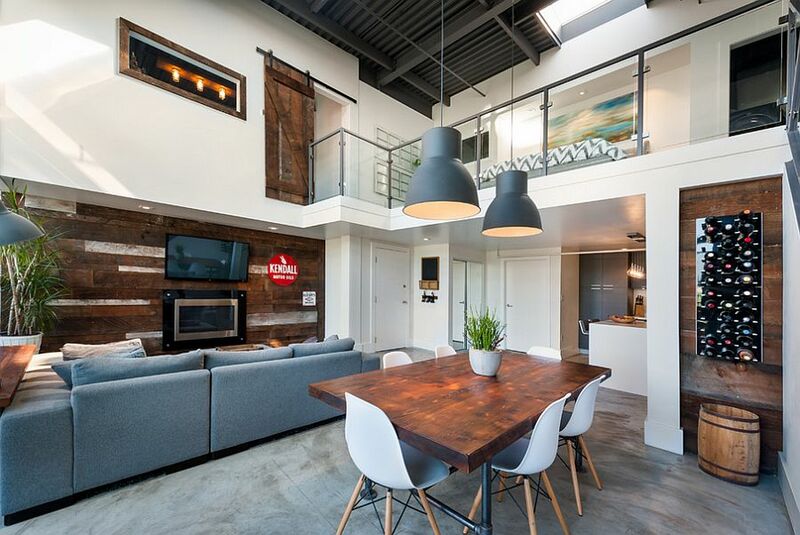 The last few years have seen a resurgence in styles and trends that have been largely perceived as outdated and boring in the 90s, trends dominated by simple cubes, beige and a turn towards modernity. 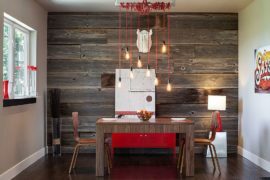 Styles like Art Deco and midcentury have been revitalized by contemporary designers who have given them an elegant, modern twist. 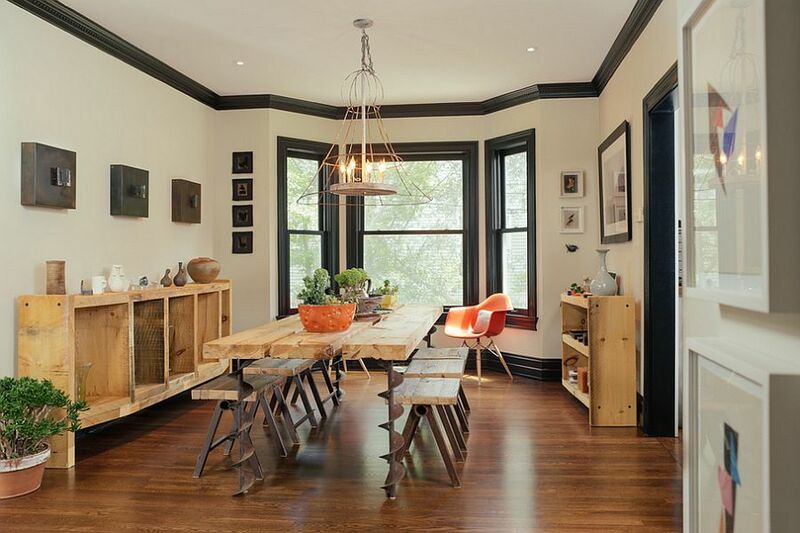 But in recent times, no other singular style has made as much impact in homes the world over as ‘industrial’. 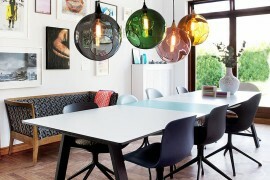 The unpretentious and stripped-back style that places ergonomics ahead of aesthetics seems to be back with a bang. 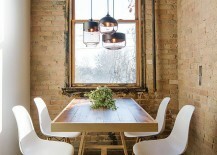 While we have showcased some captivating industrial bedrooms and smart kitchens in the past, today we take a look at the 30 best dining rooms wrapped in this timeless style. Dig in and enjoy! 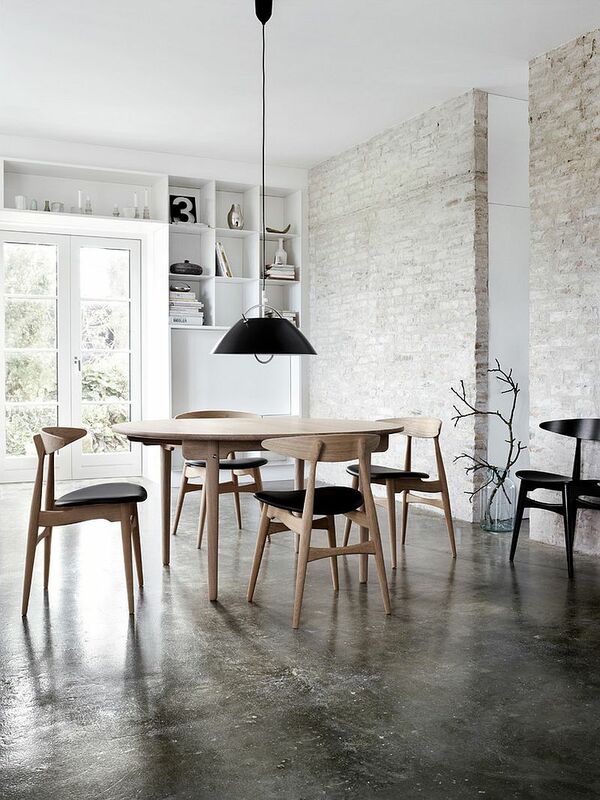 To replicate a style that you admire or love, it is always important to understand its origins and of course, the basic components that shape it. 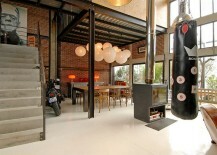 In the case of the industrial style, it was necessity and a utilitarian approach that were its driving forces. 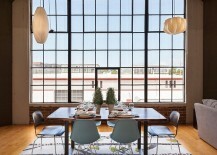 Early industrial revolution-era settings that gave birth to the style did not worry about the visual appeal of the place. 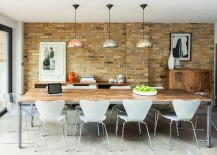 It was always about working with what was on offer. 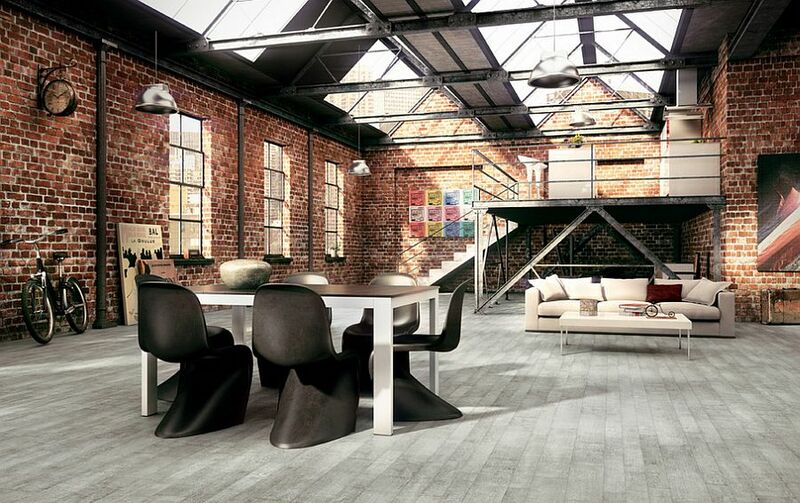 This is precisely why you see a fabulous blend of contrasting textures in industrial spaces, which is considered ‘exciting and cool’ by modern designers. Your industrial-style dining room should be no different in its approach to contrasting raw surfaces. 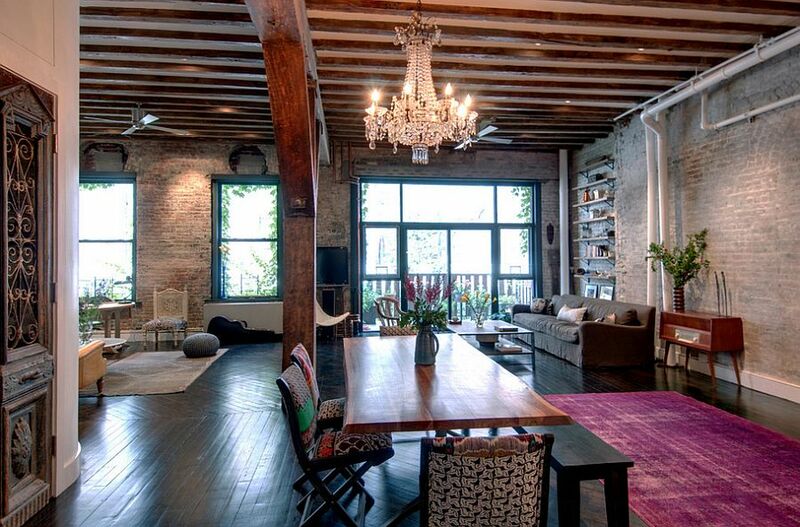 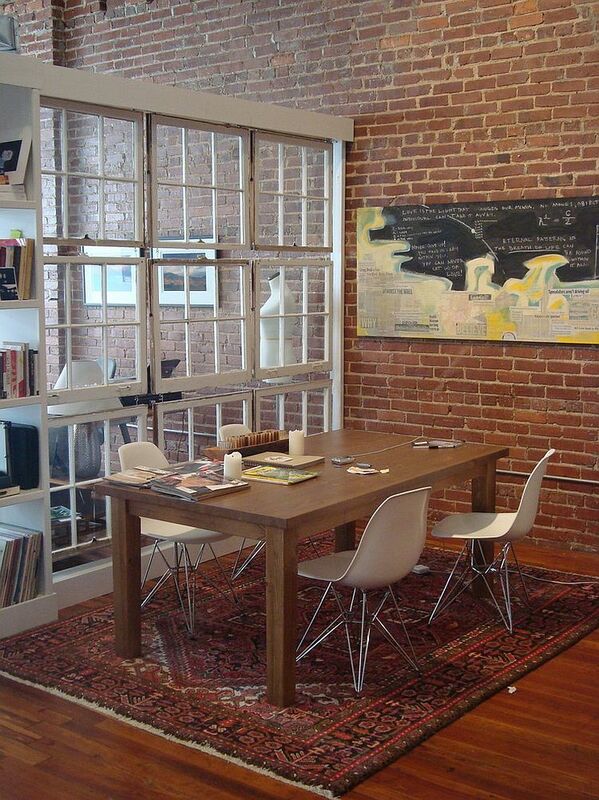 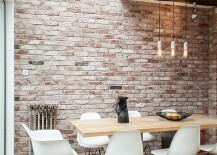 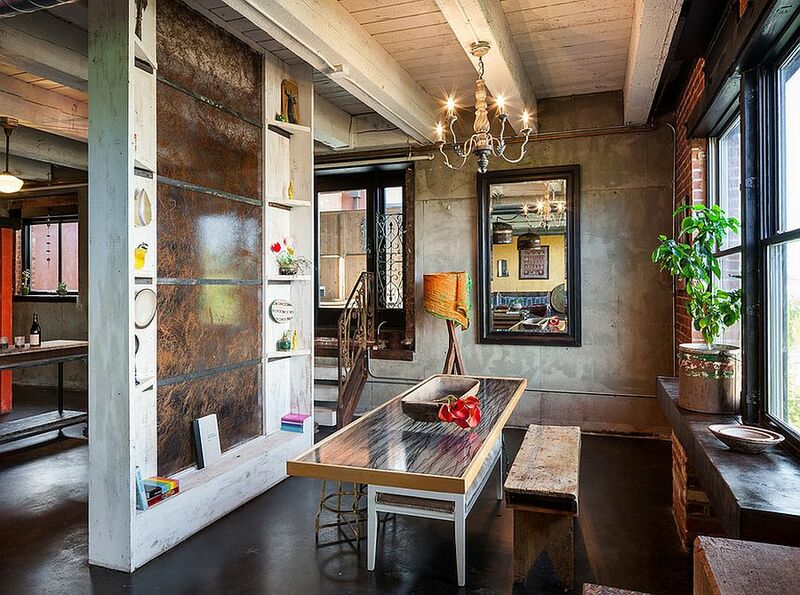 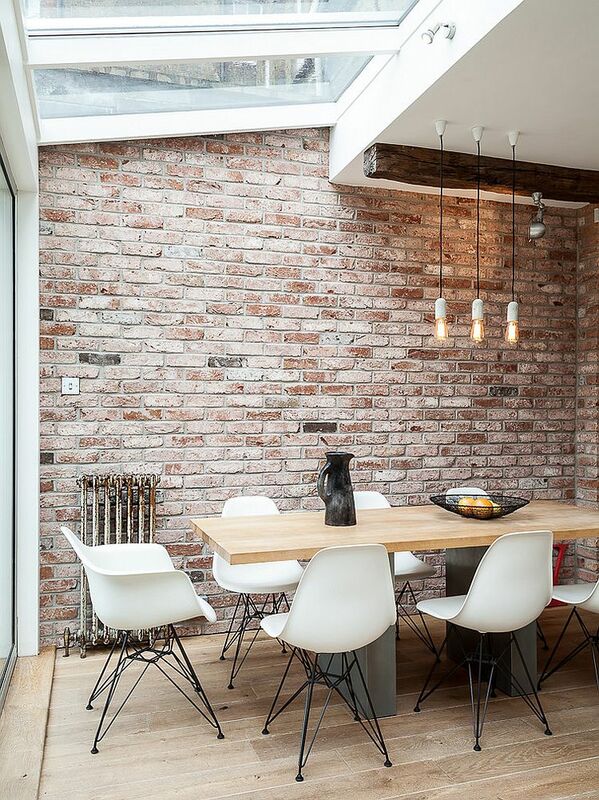 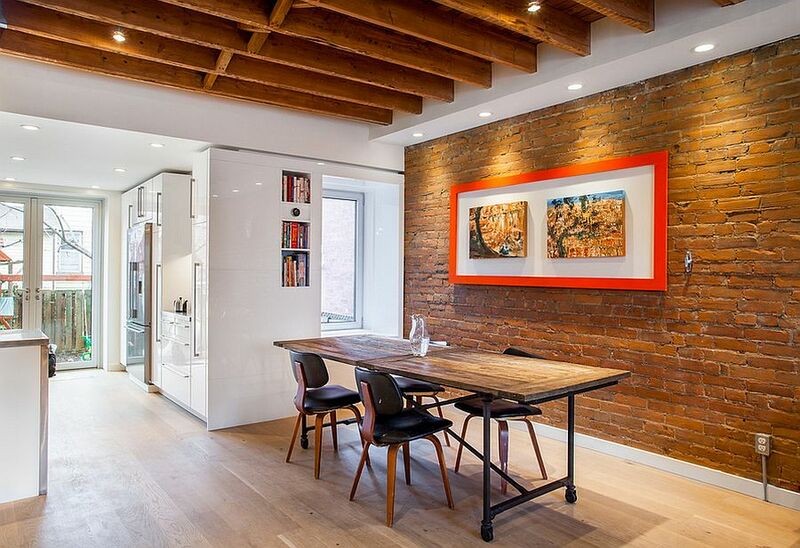 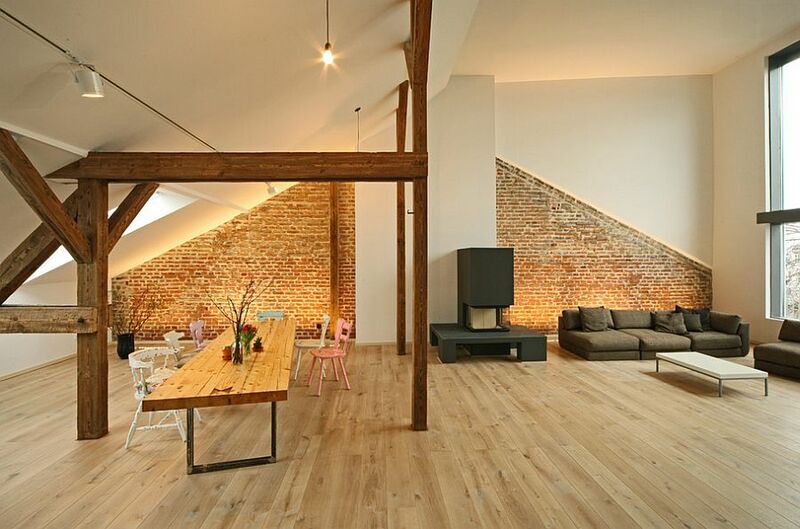 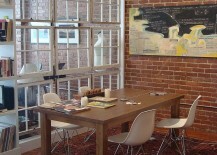 Brick walls are obviously a favorite among homeowners when it comes to shaping an industrial dining space. 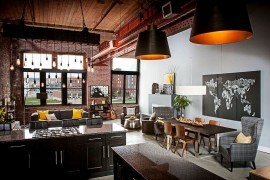 They offer a cozy yet edgy backdrop that sets the tone of the other additions. 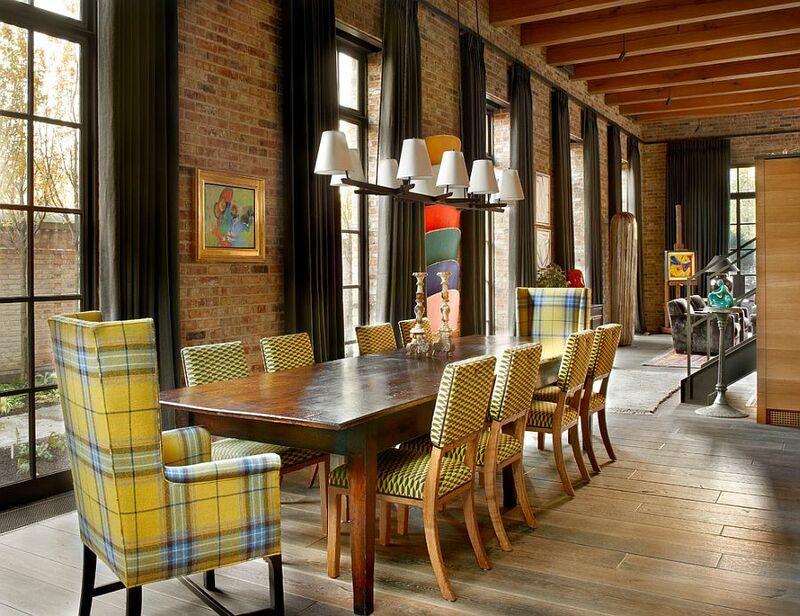 Arched metal frame windows, exposed wooden ceiling beams and even untreated concrete surfaces combine beautifully to shape that smart, unique dining room with a debonair industrial flair. 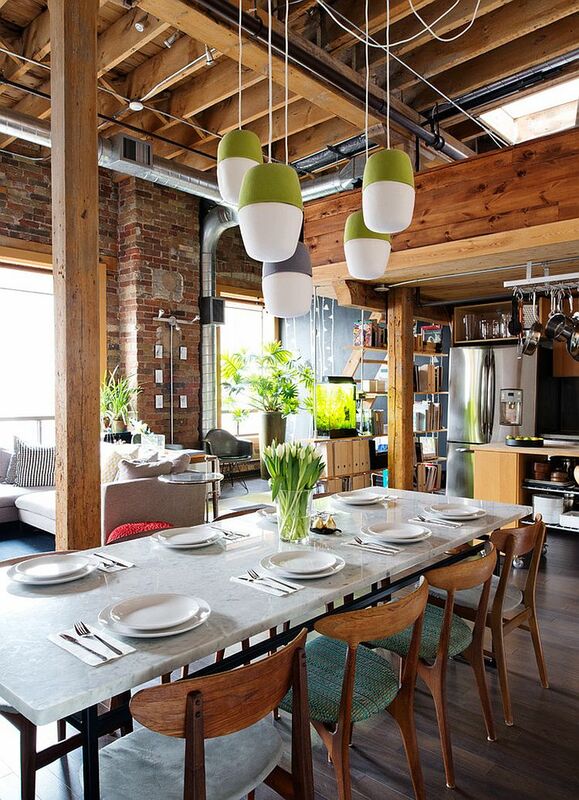 Exposed ductwork and a cool color scheme complete this picture-perfect look. 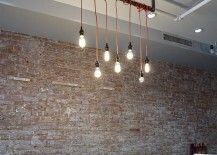 Light It up with Glam! 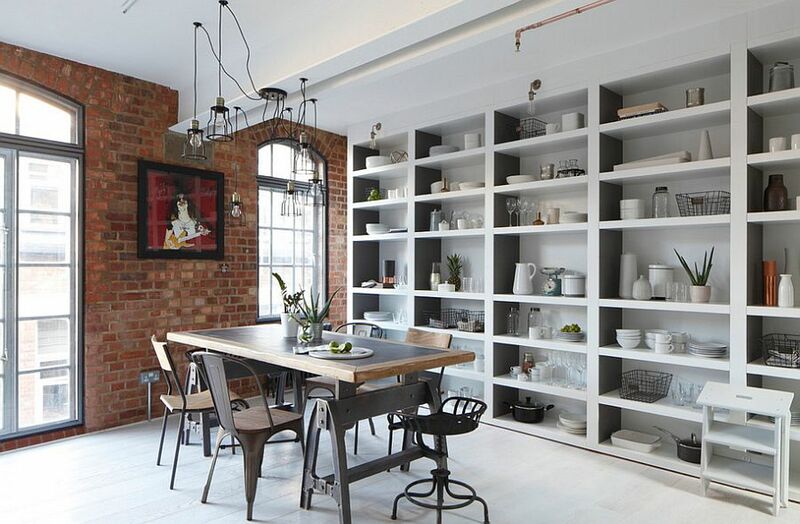 Lighting plays a vital role no matter what the style of your dining room is, but if you are opting for styles such as Asian, Mediterranean or industrial, then it becomes twice as important! 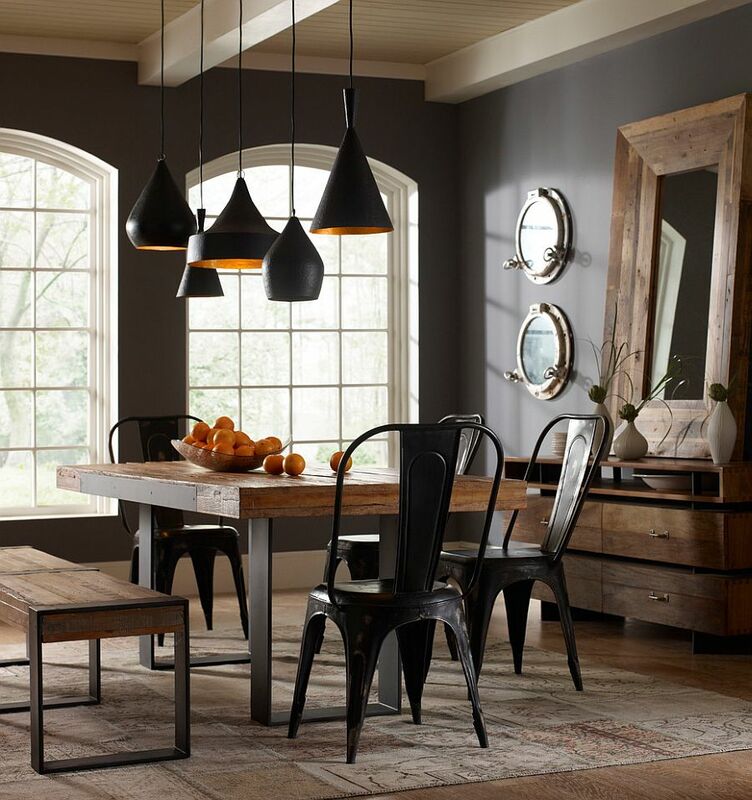 While traditionally large metallic pendants inspired by the past are the preferred choice (and they do look absolutely perfect in a grand dining room), there are many contemporary alternatives that work equally well. 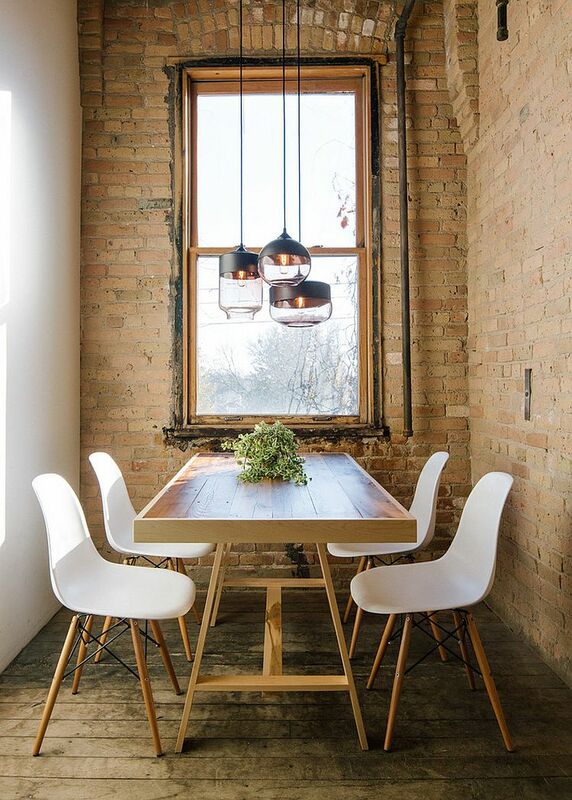 In fact, you can use your lighting fixture to usher in a hint of chic, contemporary charm or midcentury modern magic in a dining room that is dominated by an industrial vibe. 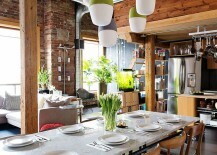 This creates a subtle, underrated fusion of styles while adding to the overall appeal of the space. 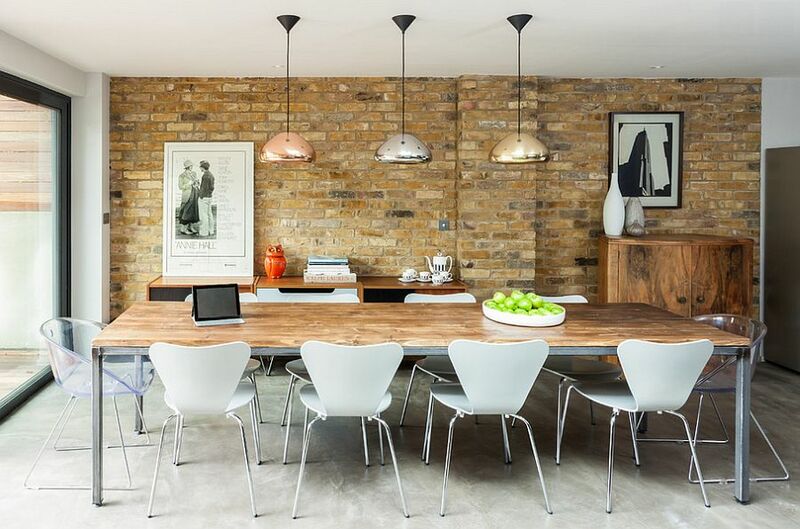 The many lighting fixtures that you see in the gorgeous inspirations here vary from the posh Tom Dixon pendants to the iconic Nelson pendant lights. 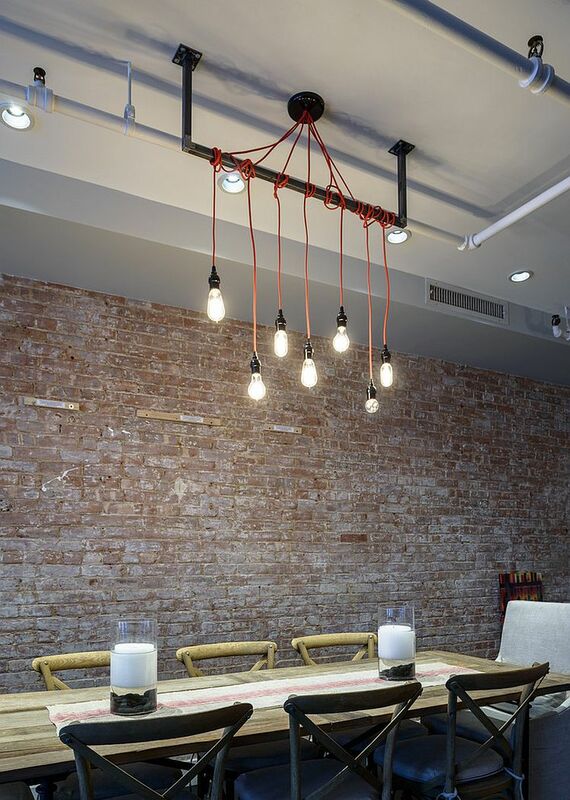 Custom-crafted DIY pendant lights with a wiry frame or a stripped-down design are also ideal for the industrial dining room. 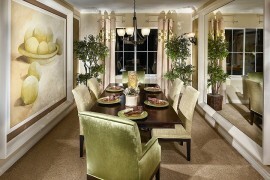 Just make sure that it complements the color scheme and the other decor choices that you have made in the room. 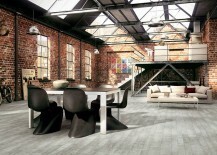 Even though the many industrial living rooms and bedrooms that we often see are huge spaces with an open, airy ambiance, the style works well even in a smaller setting. 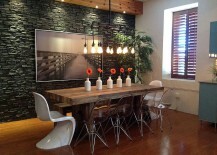 A small dining room can also pull off the industrial look, but it does require a lot more care. 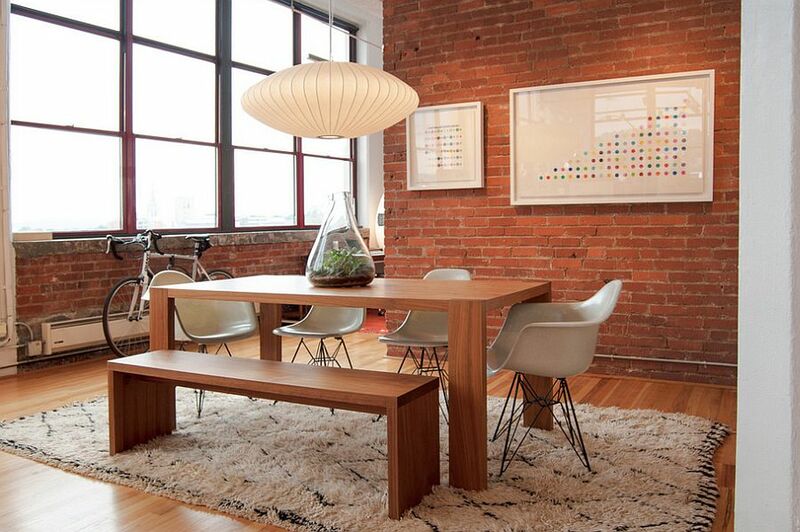 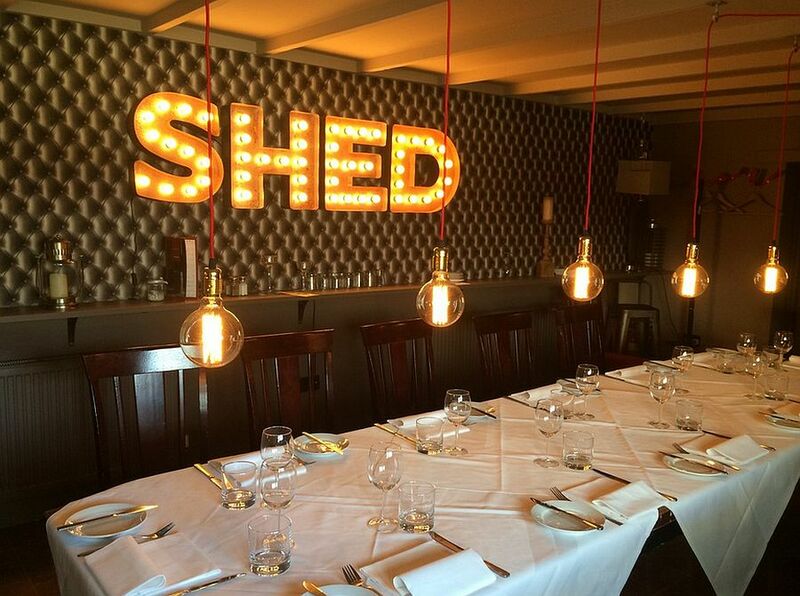 For starters, ensure that the space is as uncluttered as possible and evenly lit. Even if it is not truly spacious, opening it up towards the living room next to it or the view outside will aid in enhancing the appeal of the room. 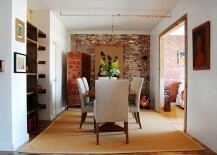 Keep the use of color to a minimum and pick one dominating texture (brick, metal or concrete) to shape the backdrop. 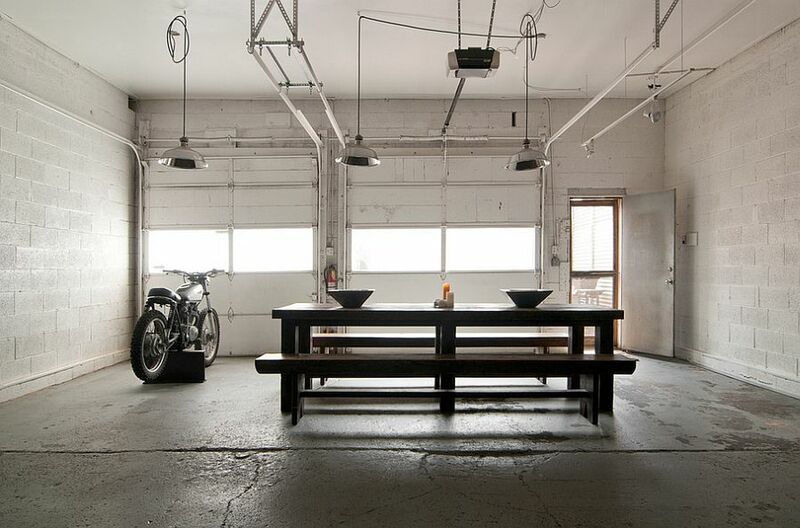 Industrial-style dining rooms allow you to experiment with decor and accessories far more freely than almost any other style. 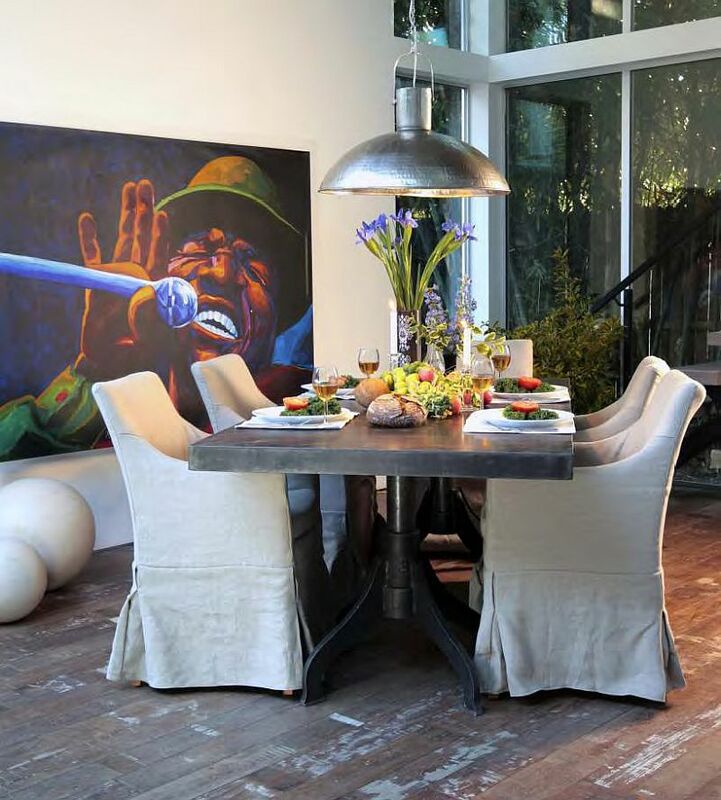 Giving this dining room a surprising twist with additions such as daring wall art, oversized pendant lights or even a vintage bike or two can turn it into an absolute showstopper. 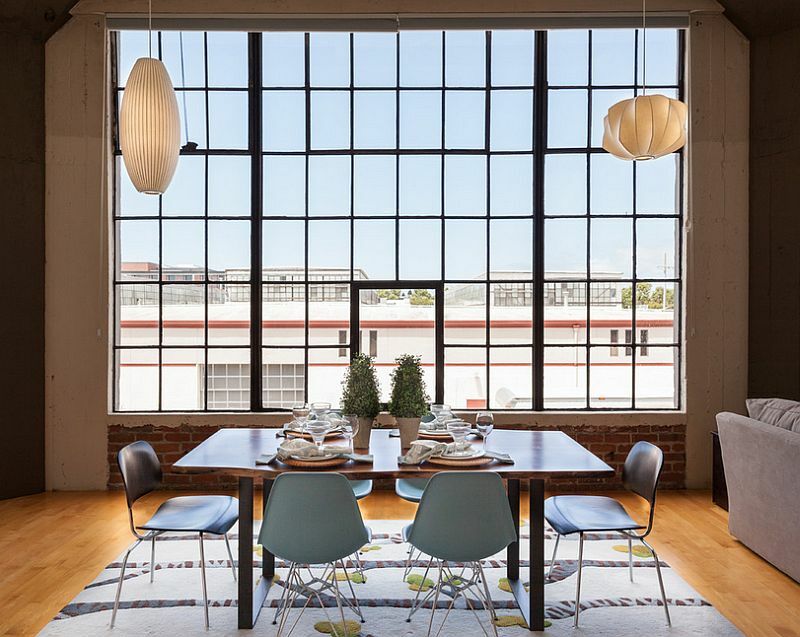 A custom-crafted dining table, an eclectic blend of iconic chairs, a splash of unexpected color or even a cloak of natural greenery can completely alter the atmosphere of the dining room and turn a mundane setting into a truly captivating backdrop. 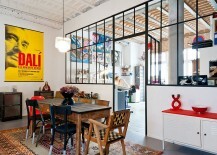 Make sure, though, that these additions do not take over and disturb the overall style of the space. 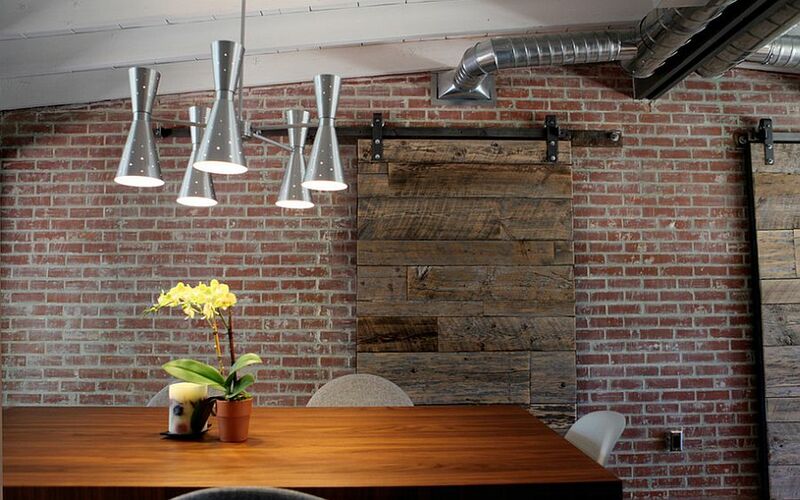 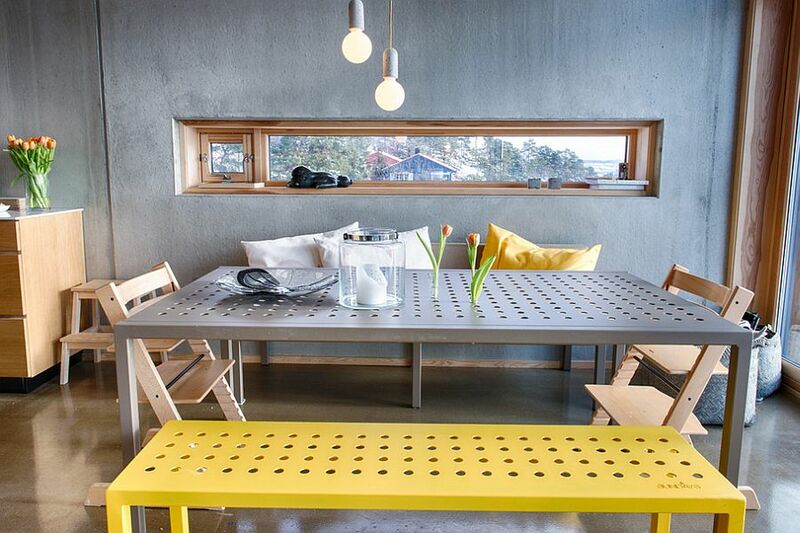 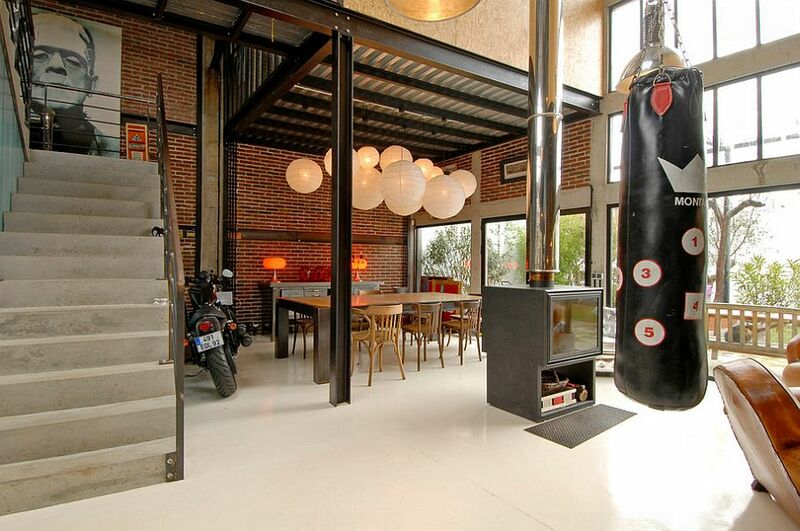 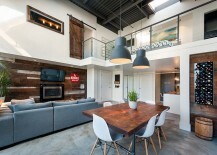 Salvaged items and upcycled decor also make up an important part of the industrial style. 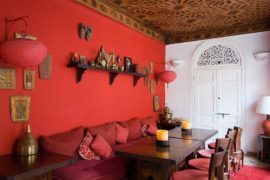 Use an old, re-painted trunk as a credenza or decorate the dining table with a vintage vase that you unearthed in a recent trip to the flea market. 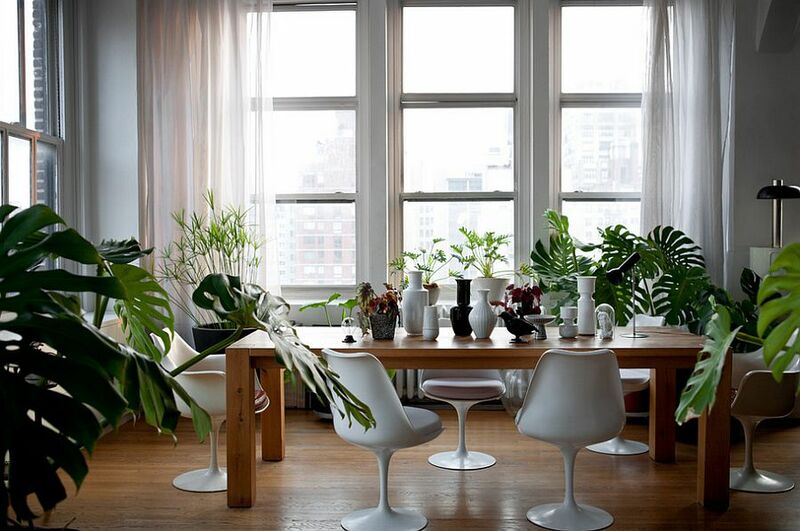 Give it a touch of personality and individuality and let your imagination create its final shape.